With the most sophisticated weather monitoring technology, the Orion LX™ Weather Station offers an easy-to-use, Internet-ready interface that is operational straight from the box. There are no moving parts to wear out or calibrate. And there is no programming or complicated configuration required. The Orion LX Weather Station consists of a high-tech, all-in-one sensor module and the Orion Weather MicroServer. Includes Orion's WeatherMaster computer software. The Orion LX sensor module includes ultrasonic wind direction and speed measurements, an impact rain gauge, and capacitive relative humidity, temperature and barometric pressure sensors. 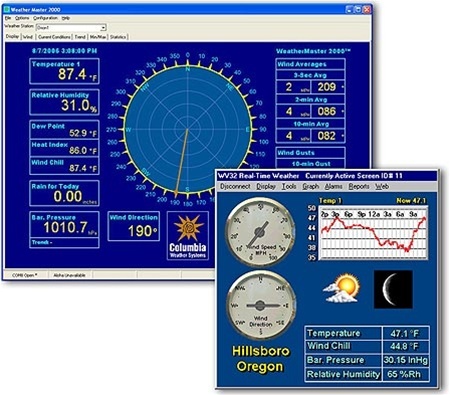 Running Linux operating system, the powerful Orion Weather MicroServer provides FTP output, as well as a browser user interface for network applications. It's an industrial weather station that includes two serial communication and datalogging capabilities. High accuracy and fine resolution make this new system ideal for precision weather monitoring. 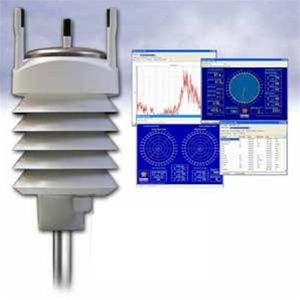 The Orion weather station sensors meet FAA and WMO specs for aviation operations, as well as EPA requirements for scientific environmental monitoring applications. Both wind speed and direction are measured on this Orion weather station by an advanced ultrasonic sensor. The sensor uses ultrasound to determine horizontal wind speed and direction. The array of three equally spaced ultrasonic transducers on a horizontal plane is an ideal design which ensures accurate wind measurement from all wind directions, without blind angles or corrupted readings. Barometric pressure, temperature, and humidity measurements are combined in an advanced Orion monitoring software sensor module utilizing capacitive measurement method for each parameter. Great product. Arrived in good working condition. Tom's customer service was excellent. He provided equipment recommendations and kept our company up to date on the order status.